“The sled was a local find. 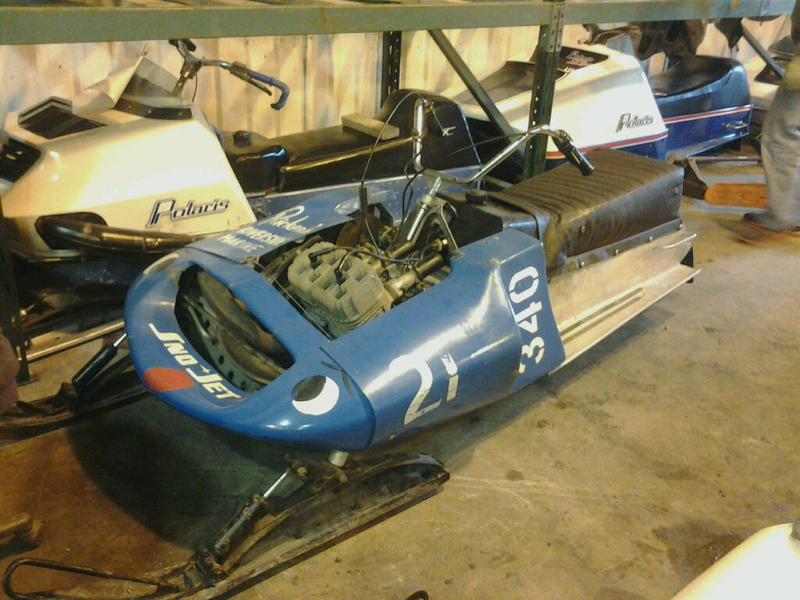 A dealership near our hometown had purchased the sled brand new in the fall of 1971. They raced it the season of 71-72. After that first winter, they put them up for sale. The gentleman we got it from, bought it and raced it until approx. 1974, he is’nt sure exactly what year he quit. 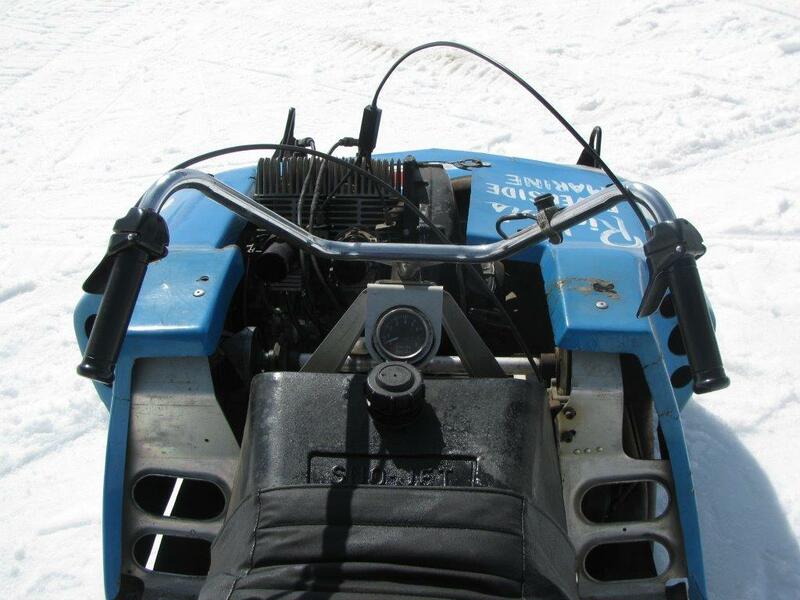 My brother and I have been into sno-cats since we were little kids as our Uncle was a Polaris dealer and a racer for many years in the 60's & 70's, so we were always around them. We remembered the gentlemen racing his thunderjet. 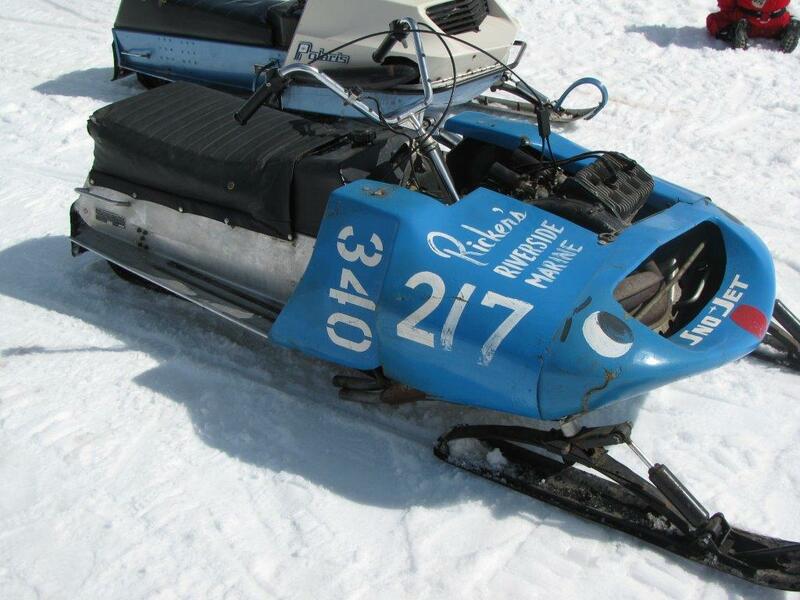 After we started collecting and restoring vintage sleds, my brother said, “I wonder if that Thunder Jet is still south of town”. We never thought much of it, and besides the guy who had it is a single, over the road trucker so he is never home. One day, my dad was working in the area and seen him out side in the yard and went over to talk to him. Well, one thing led to another and the t-jet came up and by-golly he still had it! It was in and old quonset with a dirt floor in it. He had it propped up off the floor, but it was full of birdcrud and thirty years worth of dust and dirt. Dad asked him if he was interested in selling it and he said NO!! That was about five years ago. Well we kept this under our hats ever since and my dad told him if he ever changed his mind to let him know. About a month ago, dad ran into him again and asked if he was ready to sell yet. 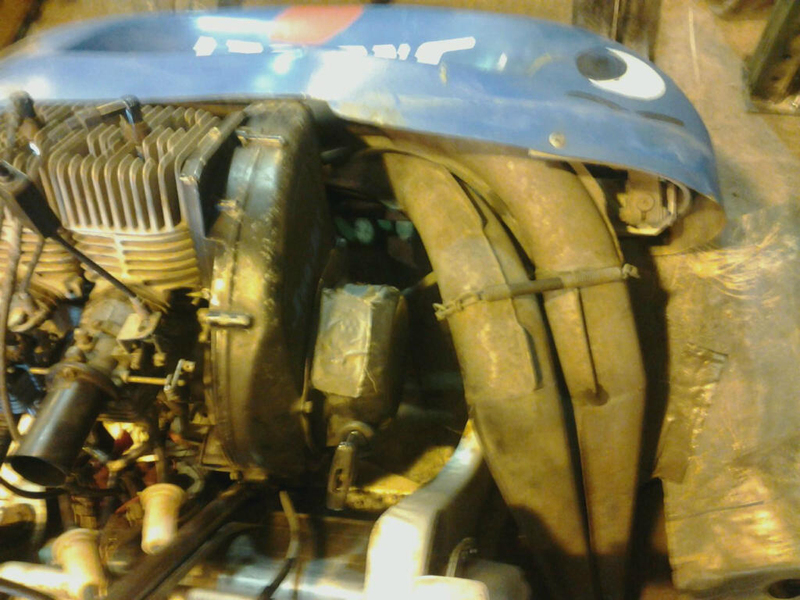 The guy was’nt sure but he didn’t say no, dad told him my boys remember you racing it when they were little kids and would like to restore it and take care of it, and feel it should be out and shared with other people to enjoy. You would always be recognized as the original owner and could come to town and ride it anytime you wanted. Well, the guy agreed and they made the deal. 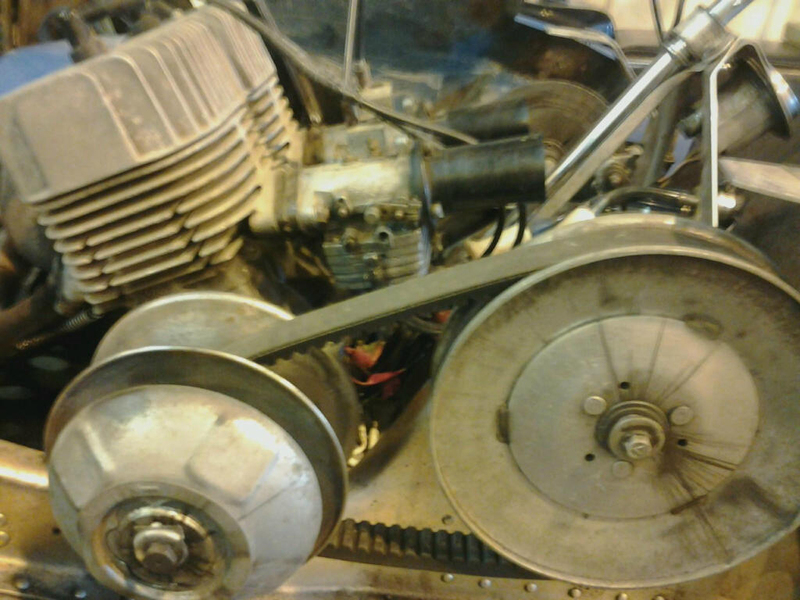 My dad and uncle (the former Polaris dealer) worked on it for three weeks off and on trying to get it to run, polishing, cleaning clutches ect… Dad didn’t say a word about it until one night he told us he needed some help in the shop and surprised us with it. He said it was ours and hoped it made a nice addition to our collection. We just about fell over. After some hugs and high fives, (and yes a few tears), we started checking it out. 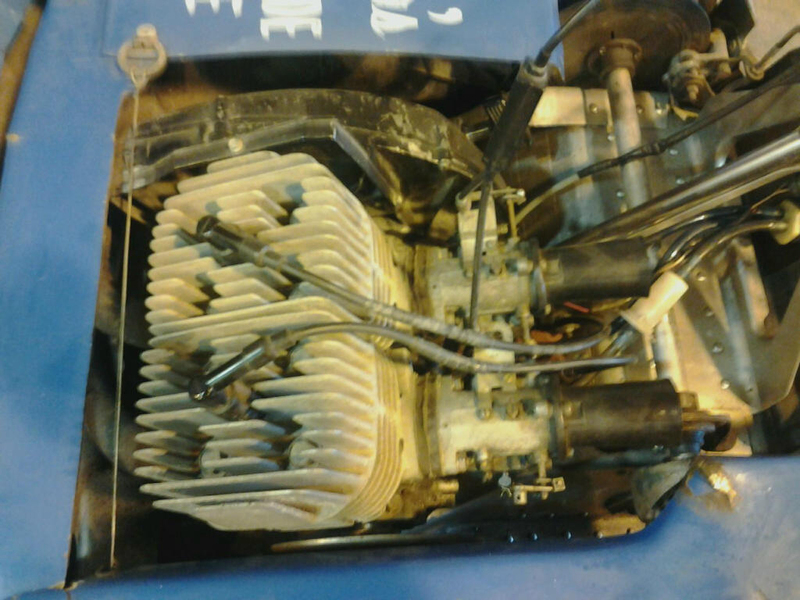 Man was it in great shape. 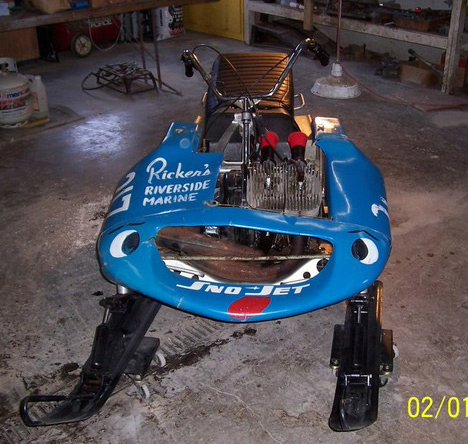 We thought the sled would have been long gone by now, let alone being the owners of it. 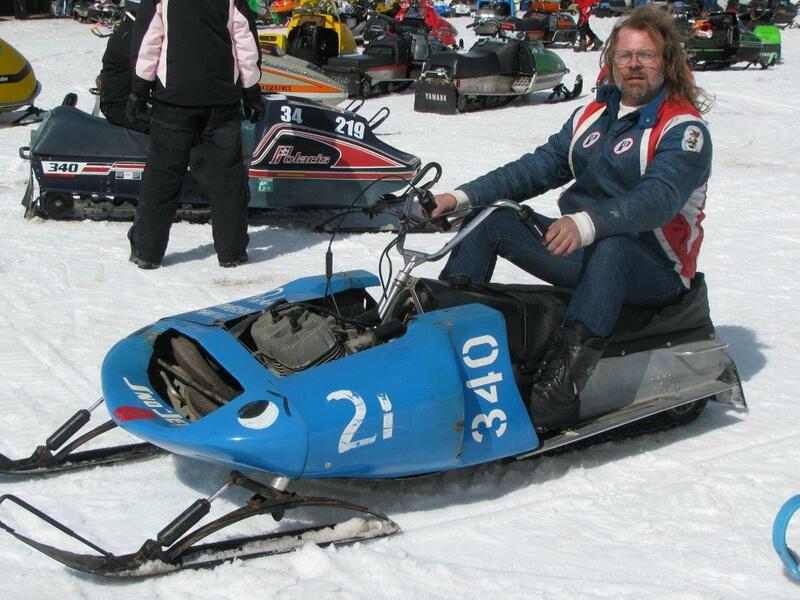 We are indebted to this gentleman and will treat the sled with the utmost respect that it deserves. We have NO plans of ever parting with it." They've owned the sled for several years now. 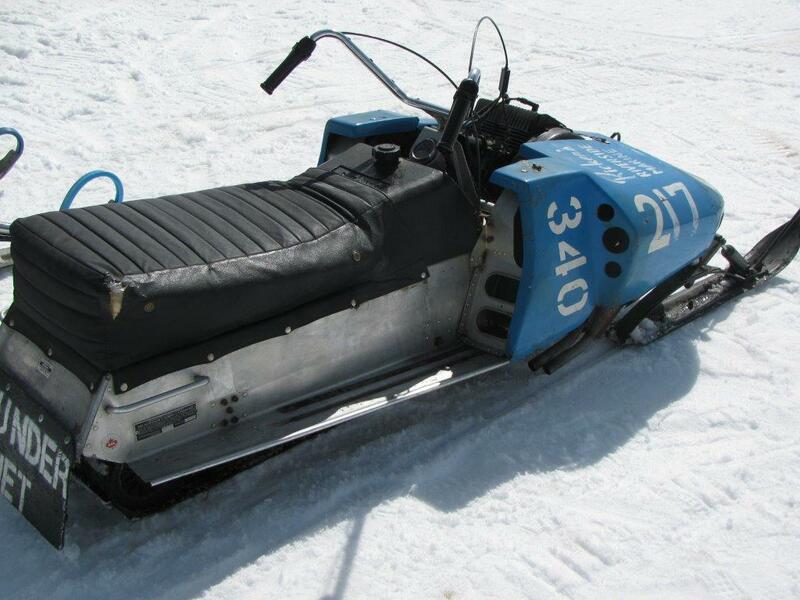 They still take the sled out and listen to the pipes rap, and putt around on it a couple times a year. 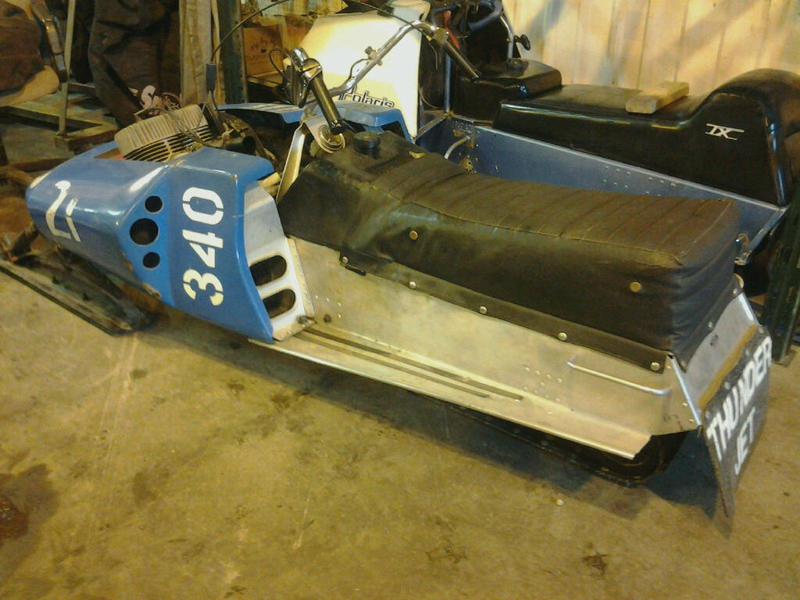 The sled has been to Waconia and several local shows in central North Dakota. Scroll down for more photos.